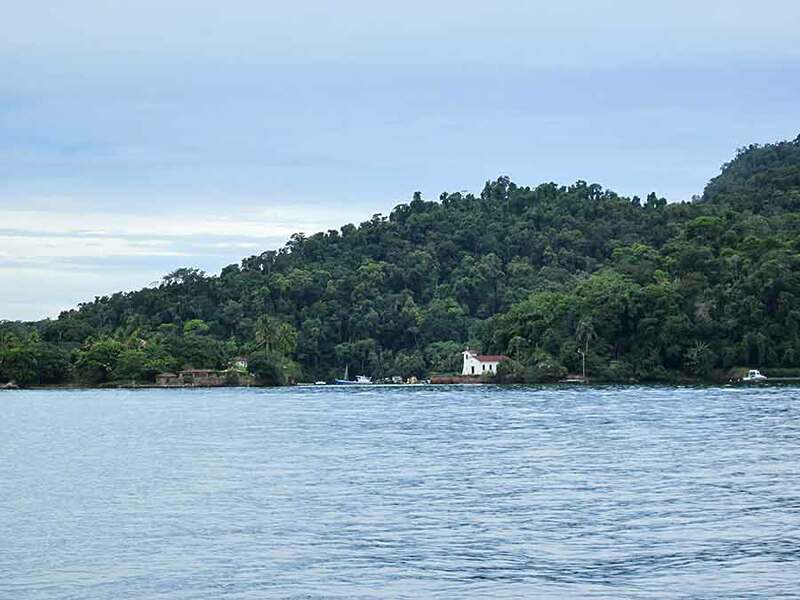 The anchorage at Saco do Ceu on Ilha Grande is idyllic and the weather is lovely at this time of year. Although we're still in the tropics (just) the climate in winter is more like a good British summer. It's sometimes overcast and wet but generally warm and sunny. We didn't go ashore and were content to stay on board 'pottering'. After a few days there we motored north towards the Baia da Ribeira. It was overcast but we could appreciate why this area is so popular. 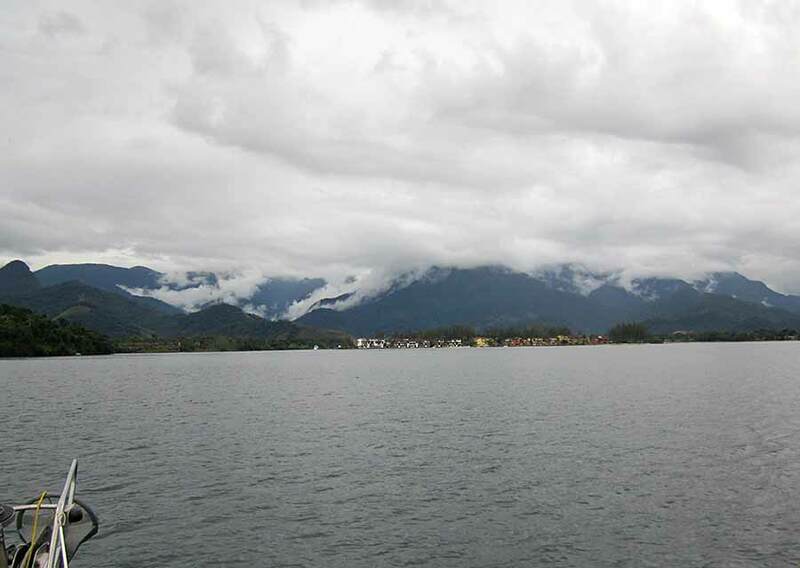 The scenery is beautiful with numerous islands and a backdrop of mountains, covered in rainforest. 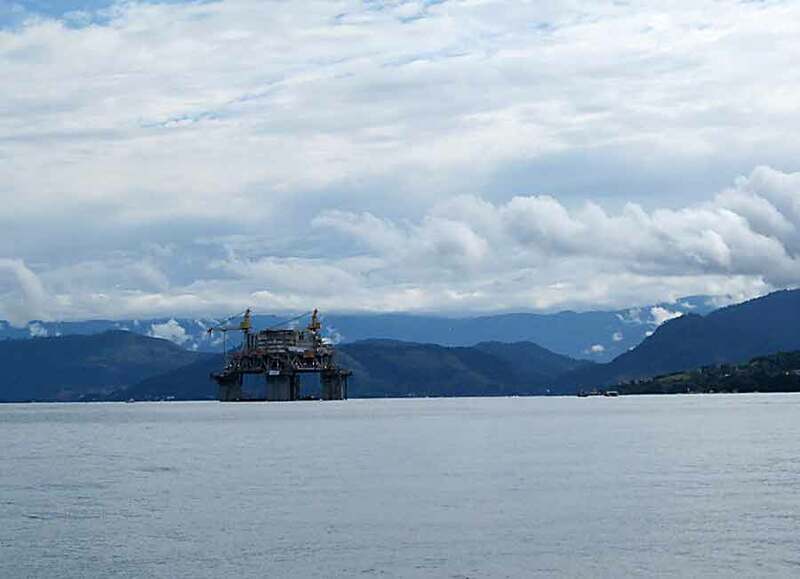 There is some industry - notably a large oil rig platform being completed in the fairway between Ilha Grande and Angra dos Reis with numerous support vessels milling around - but otherwise it's just a question of dodging the ferries, tripper boats and cruisers that come and go between the hundreds of anchorages. Being low season it's quiet but in summer the area is as busy as the Solent. After 9 months hard cruising we're looking forward to a break - a visit back to the UK - so we needed to find somewhere safe to leave Lynn Rival for a couple of months. We're now in Marina Bracuhy, in the Baia da Ribeira. 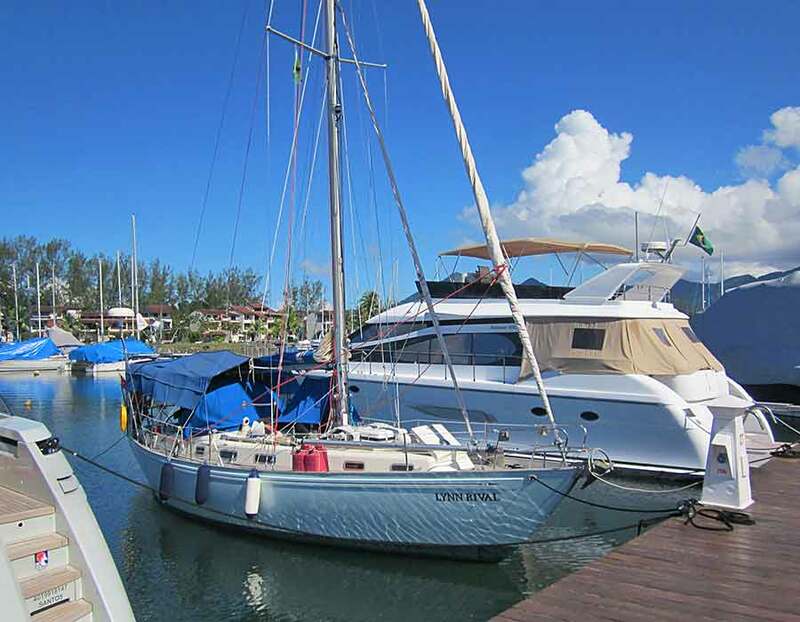 The marina here is well sheltered - fully enclosed in a backwater - and also spacious and clean. It's a popular place for sailing boats but for some reason we've been put amongst the gin palaces, where the security is even better. There's a hotel and a couple of restaurants in the marina complex but not much else nearby apart from holiday homes. Approaching Bracuhy - i wonder if we'll beat the rain? In order to leave the boat here and fly home we have had to apply for various bits of paperwork. The most complicated is the customs permit. 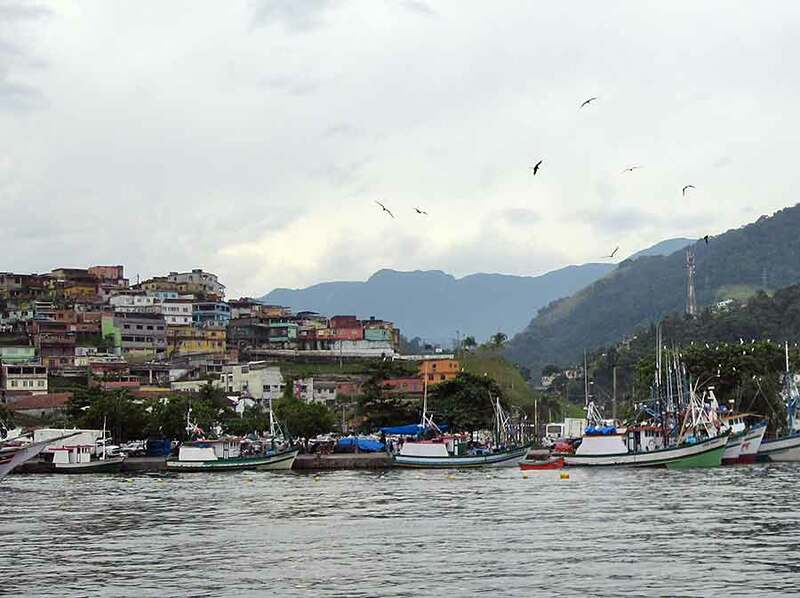 When a foreign boat enters Brazil the Receita Federal (customs) issues a 90 day permit, to match the owner's visa. If the boat remains in Brazil beyond that time it is impounded, no questions. Our permit will run out while we're away. 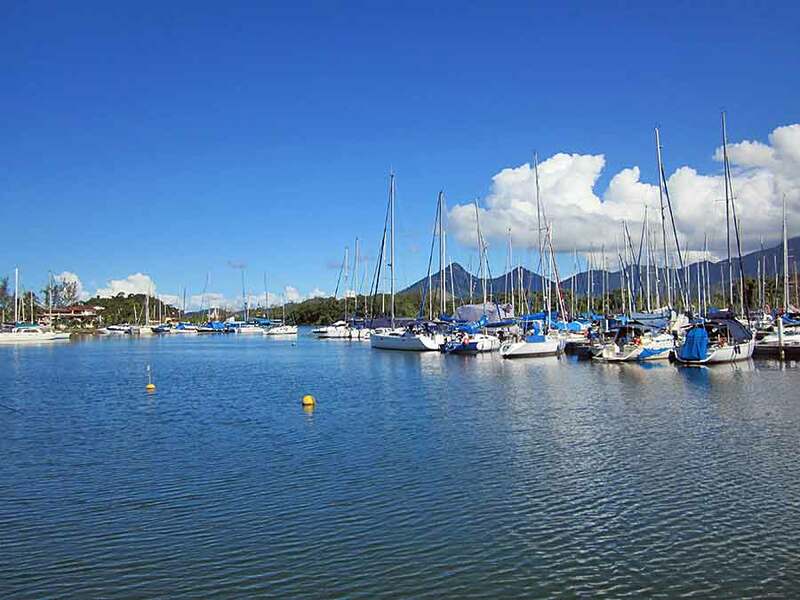 The answer is to apply for a two-year permit, which they issue if the owner is temporarily leaving the country, so long as the boat is left in an approved marina. 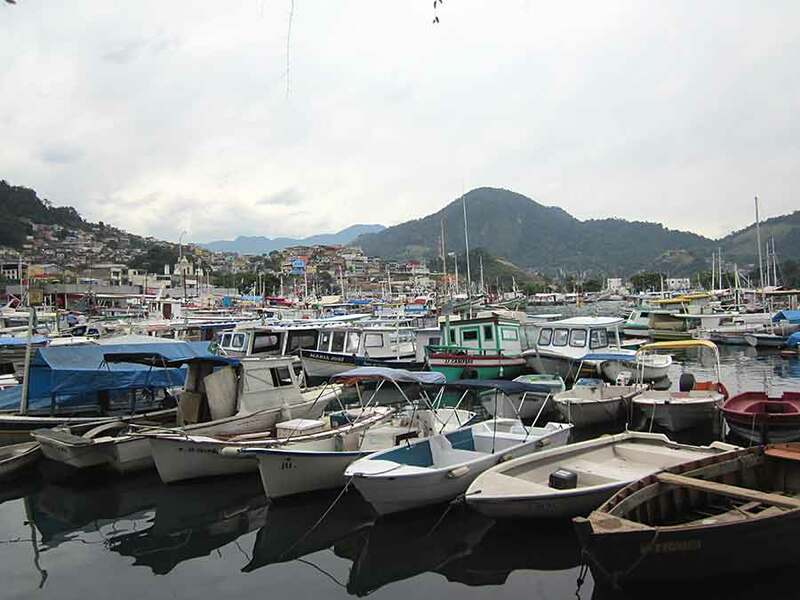 Armed with a paper from the marina saying they will take responsibility for Lynn Rival, and our air tickets, we took the bus into Angra dos Reis on Monday to visit the Receita Federal office. After waiting in the wrong queue for 20 minutes we were then told to come back after the lunch. It took most of the day but we now have our customs permit extended to two years, which is great. We also had to visit the Capitania dos Portos, who fortunately (being part of the navy) were open for business at lunchtime. Having learned our lesson at the Receita Federal we didn't get distracted by any queues and marched up to the main reception where we were dealt with very promptly. The bus ride into Angra was our first experience of travelling cross-country in Brazil and quite fascinating as we made our way through the real village of Bracuhy (not the holiday homes), stopping every 100 yards to pick people up, and then onto the main road (to Rio) speeding through the rainforest, occasionally overlooking harbours along the coast. 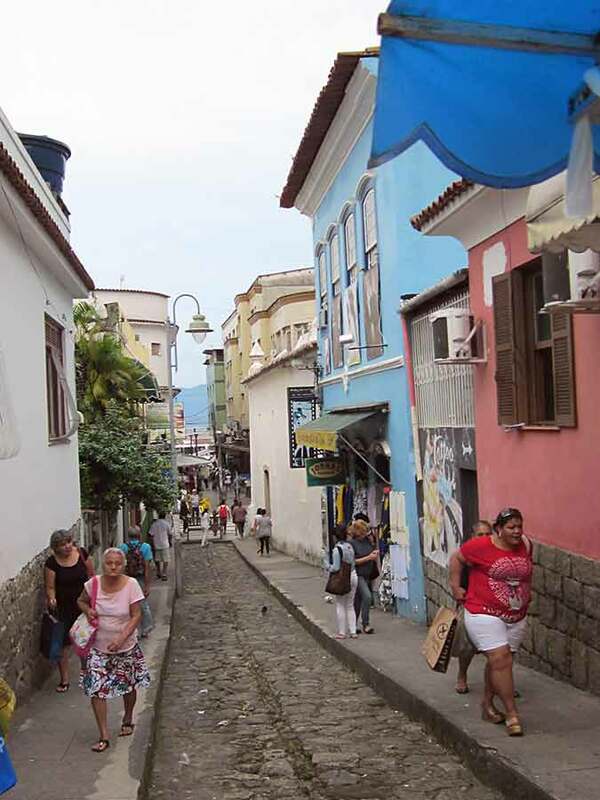 Angra is not a very attractive town but pleasant enough with lots of useful shops and even a helpful tourist information office. 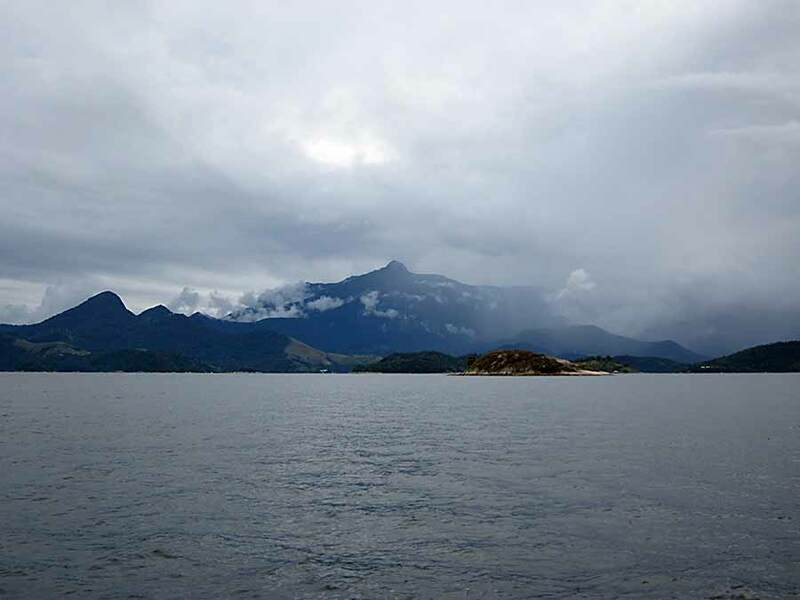 In the summer it's teaming with tourists on their way to Ilha Grande and probably not nice at all. Now we are preparing Lynn Rival for a well earned rest, and ourselves for a long flight on Friday.